This section lists several common DNS problems and explains how to solve them. Event ID 7062 appears in the event log. Make sure that there is no lame delegation for this server. A lame delegation occurs when one server delegates a zone to a server that is not authoritative for the zone. If this server includes secondary zones, make sure that it does not list itself as a master server for those zones. If this server includes primary zones, make sure that it does not list itself in the notify list. Zone transfers to secondary servers that are running BIND are slow. By default, the Windows 2000 DNS server always uses a fast method of zone transfer. This method uses compression and includes multiple resource records in each message, substantially increasing the speed of zone transfers. Most DNS servers support fast zone transfer. However, BIND 4.9.4 and earlier does not support fast zone transfer. This is unlikely to be a problem, because when the Windows 2000 DNS Server service is installed, fast zone transfer is disabled by default. However, if you are using BIND 4.9.4 or earlier, and you have enabled fast zone transfer, you need to disable fast zone transfer. In the DNS console, right-click the DNS server, and then click Properties . In the Server options list, select the Bind secondaries check box, and then click OK . If you see this message, your DNS server is still able to answer queries and host Active Directory. The resolver cannot locate the PTR resource record for the name server that it is configured to use. The properties for your network connection must specify the IP address of at least one name server, and when you start Nslookup, the resolver uses that IP address to look up the name of the server. If the resolver cannot find the name of the server, it displays that error message. However, you can still use Nslookup to query the server. Make sure that a reverse lookup zone that is authoritative for the PTR resource record exists. For more information about adding a reverse lookup zone, see “Adding a Reverse Lookup Zone” earlier in this chapter. 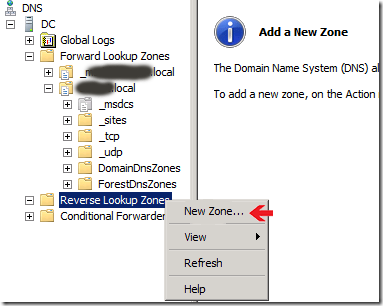 Make sure that the reverse lookup zone includes a PTR resource record for the name server. Make sure that the name server you are using for your lookup can query the server that contains the PTR resource record and the reverse lookup zone either iteratively or recursively. User entered incorrect data in zone. For information about how to add or update records by using the DNS console, see Windows 2000 Server Help. For more information about using resource records in zones, search for the keywords “managing” and “resource records” in Windows 2000 Server Help. Active Directory-integrated zones contain inconsistent data. 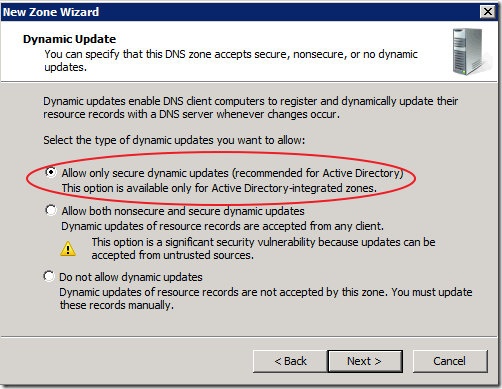 For Active Directory–integrated zones, it is also possible that the affected records for the query have been updated in Active Directory but not replicated to all DNS servers that are loading the zone. By default, all DNS servers that load zones from Active Directory poll Active Directory at a set interval — typically, every 15 minutes — and update the zone for any incremental changes to the zone. In most cases, a DNS update takes no more than 20 minutes to replicate to all DNS servers that are used in an Active Directory domain environment that uses default replication settings and reliable high-speed links. User cannot resolve name that exists on a correctly configured DNS server. First, confirm that the name was not entered in error by the user. Confirm the exact set of characters entered by the user when the original DNS query was made. Also, if the name used in the initial query was unqualified and was not the FQDN, try the FQDN instead in the client application and repeat the query. Be sure to include the period at the end of the name to indicate the name entered is an exact FQDN. If the FQDN query succeeds and returns correct data in the response, the most likely cause of the problem is a misconfigured domain suffix search list that is used in the client resolver settings. Name resolution to Internet is slow, intermittent, or fails. If queries destined for the Internet are slow or intermittent, or you cannot resolve names on the Internet, but local Intranet name resolution operates successfully, the cache file on your Windows 2000–based server might be corrupt, missing, or out of date. You can either replace the cache file with an original version of the cache file or manually enter the correct root hints into the cache file from the DNS console. If the DNS server is configured to load data on startup from Active Directory and the registry, you must use the DNS console to enter the root hints. In the DNS console, double-click the server to expand it. Right-click the server, and then click Properties . Click the Root Hints tab. Enter your root hints, and then click OK . If name resolution to the Internet still fails, repeat the procedure, copying the cache file from your Windows 2000 source media. where drive is the drive that contains your Windows 2000 source media. Resolver does not take advantage of round robin feature. Windows 2000 includes subnet prioritization, a new feature, which reduces network traffic across subnets. However, it prevents the resolver from using the round robin feature as defined in RFC 1794. By using the round robin feature, the server rotates the order of A resource record data returned in a query answer in which multiple resource records of the same type exist for a queried DNS domain name. However, if the resolver is configured for subnet prioritization, the resolver reorders the list to favor IP addresses from networks to which they are directly connected. If you would prefer to use the round robin feature rather than the subnet prioritization feature, you can do so by changing the value of a registry entry. For more information about configuring the subnet prioritization feature, see “Configuring Subnet Prioritization” earlier in this chapter. 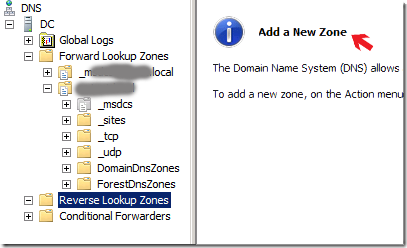 WINS Lookup record causes zone transfer to a third-party DNS server to fail. If a zone transfer from a Windows 2000 server to a third-party DNS server fails, check whether the zone includes any WINS or WINS-R records. If it does, you can prevent these records from being propagated to a secondary DNS server. In the DNS console, double-click your DNS server, right-click the zone name that contains the WINS record, and then click Properties . In the Properties dialog box for the zone, click the WINS tab and select the check box Do not replicate this record. In the DNS console, double-click your DNS server, right-click the reverse lookup zone that contains the WINS-R record, and then click Properties . In the properties page for the zone, click the WINS-R tab and select the check box Do not replicate this record . WINS lookup record causes a problem with authoritative data. If you have a problem with incorrect authoritative data in a zone for which WINS lookup integration is enabled, the erroneous data might be caused by WINS returning incorrect data. You can tell whether WINS is the source of the incorrect data by checking the TTL of the data in an Nslookup query. Normally, the DNS service answers with names stored in authoritative zone data by using the set zone or resource record TTL value. It generally answers only with decreased TTLs when providing answers based on non-authoritative, cached data obtained from other DNS servers during recursive lookups. However, WINS lookups are an exception. The DNS server represents data from a WINS server as authoritative but stores the data in the server cache only, rather than in zones, and decreases the TTL of the data. At the command prompt, type the following:nslookup -d2server < server>where <server> is a server that is authoritative for the name that you want to test.This starts nslookup in user-interactive, debug mode and makes sure that you are querying the correct server. If you query a server that is not authoritative for the name that you test, you are not able to tell whether the data comes from a WINS server. Enter the forward or reverse DNS domain name that you want to test. In the response, note whether the server answered authoritatively or non-authoritatively, and note the TTL value. If the server does not answer authoritatively, the source of the data is not a WINS server. However, if the server answered authoritatively, repeat a second query for the name. In the response, note whether the TTL value decreased. If it did, the source of the data is a WINS server. If you have determined that the data comes from a WINS server, check the WINS server for problems. For more information about checking the WINS server for problems, see “Windows Internet Name Service” in this book. A zone reappears after you delete it. In some cases, when you delete a secondary copy of the zone, it might reappear. If you delete a secondary copy of the zone when an Active Directory-integrated copy of the zone exists in Active Directory, and the DNS server from which you delete the secondary copy is configured to load data on startup from Active Directory and the registry, the zone reappears. 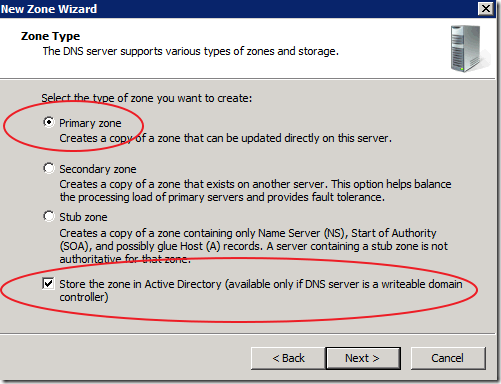 If you want to delete a secondary copy of a zone that exists in Active Directory, configure the DNS server to load data on startup from the registry, and then delete the zone from the DNS server that is hosting the secondary copy of the zone. Alternatively, you can completely delete the zone from Active Directory when you are logged into a domain controller that has a copy of the zone. where name of the interface is the GUID of a network adapter. I’d like to solve a question with your kind help, about nslookup on Windows. Please see my CMD commands below(run on WinXP SP2). What does it mean by saying “not available” and Unknown”.? The DNS server(172.27.0.12) is working correctly because it answers query of chj.dev.nls as expected. The DNS server is a Win2003 SP2. header flags:  response, auth. answer, want recursion, recursion avail. Nslookup will try to resolve the name for the ip address of the DNS server configured as the primary DNS server on the client by performing a reverse lookup of the ip address. 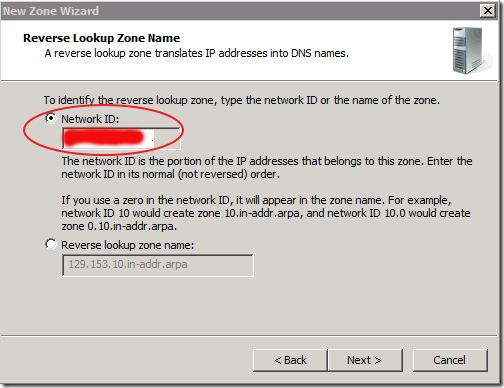 If you don’t have a rDNS zone set up for your network/subnet you’ll get the “server unknown” message as nslookup will be unable to resolve the name for the ip address. It’s not an error condition and won’t cause any problems for normal AD and DNS operations. Your server isn’t returning a reverse lookup for its name. That’s why you’re seeing “Unknown” there. You’ll need to create the appropriate reverse lookup zone to allow your server to reverse-resolve its own IP address back to its name. 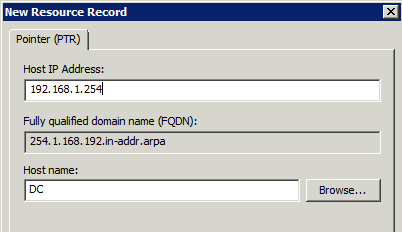 Well, after adding reverse lookup to my internal DNS server, Default Server now show the domain name of my DNS server. NOTE: If there are multiple names mapping to 172.27.0.12 , Default Server will randomly display one of the names. NSLOOKUP is a command line tool which comes with most operating systems and is used for querying DNS servers. When NSLOOKUP starts, before anything else, it checks the computer’s network configuration to determine the IP address of the DNS server that the computer uses. Then it does a reverse DNS lookup on that IP address to determine the name of the DNS server. If reverse DNS for that IP address is not setup correctly, then NSLOOKUP cannot determine the name associated with the IP address. On Windows Vista/2008, it then says “Default Server: UnKnown”. On earlier Windows versions, it displays the error message “*** Can’t find server name for address …”. This does NOT indicate a problem with the actual domain name that you are trying to look up. It only means that there is no reverse DNS name for the DNS server IP address, which in most cases may not be a problem at all. To fix this you need to properly configure the reverse zone for the IP address of the DNS server, and make sure that the reverse zone is properly delegated to the server by your IP provider. See the reference article below for more details. 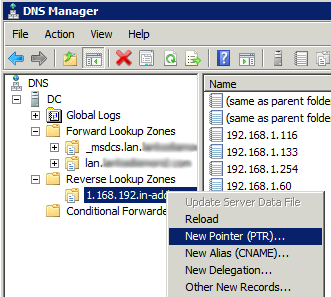 To create a reverse zone in Simple DNS Plus, click the “Records” button, select “New” -> “Zone”, select “Reverse Zone…”, and follow the prompts. Question: How to fix NSLOOKUP Default Server: UnKnown? Even the other organization machines in the domain use this server as a DNS server, nslookup still shown the same issue. After a little investigation i found that, it`s not a critical issue Even under this error your DNS resolution can work smoothly, It means that there is no reverse DNS name for the DNS server IP address, which in most cases may not be a problem at all. I found a solution says turning on the IPv6 on the NIC will solve this issue, but i don’t want to turn on IPv6, i just want the fix it in IPv4 protocol. To fix this you need to properly configure the reverse zone for the IP address of the DNS server, and make sure that the reverse zone is properly delegated to the server by your IP provider. As far as I can verify, EDNS0 is disabled, PTR records exist for the server in the zone. Also, on the server, if I uncheck the IPv6 protocol in the TCP/IP properties of the NIC, this issue goes away. 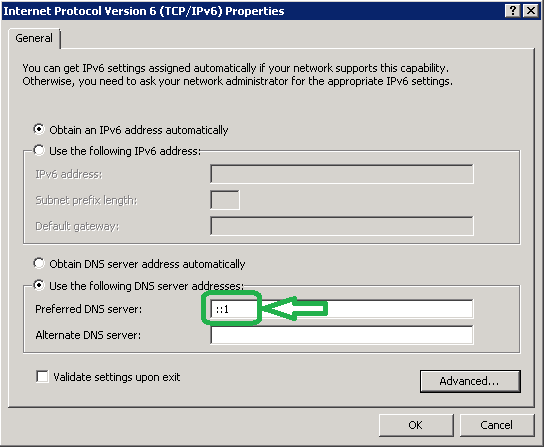 Change the preferred DNS server from ::1 to obtain DNS server address automatically. Recently, I got a power Failure in my Data Center and face an Active Directory/DNS Crash as well. 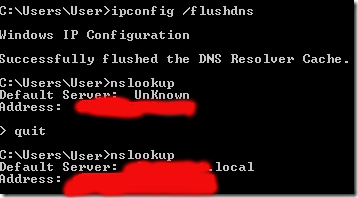 I configured Active Directory and DNS as well to support my users and organization and AD start replication but after a day I notice that on nslookup there was a message Default Server: Unknown. Ooops! I was really, really worried that what happens to it. Obviously, I start troubleshooting and the solution was much unexpected to me. 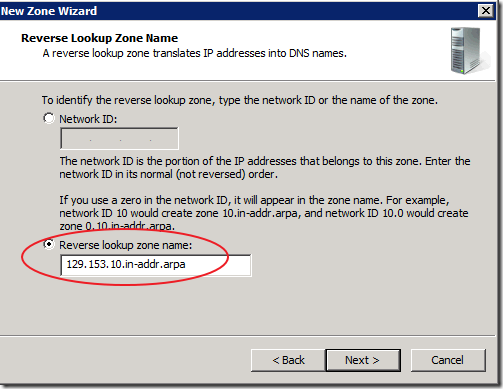 You need to login your DNS Server and if you haven’t setup your reverse lookup zone, please do create it. If it’s already done than you need to create a PTR Record and point to 192.168.10.10 Server (in my example). 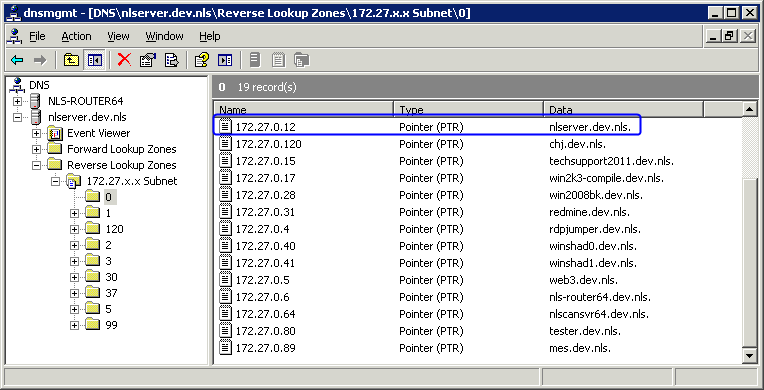 After creating PTR Record or configuring Reverse lookup zone, you will be able to see Server Name, as image below. In some cases, your DNS may behave differently like it shows exact Default Server Name but on giving any website name (google.com), it show error message like “request timed out. timeout was 2 seconds” etc. in this case you have to check your Firewall on DNS Server or any Firewall between your computer and DNS Server and you have to allow your DNS Server. You may notice that even disabling Firewall on DNS Server, Local Computer or even allowing DNS Server in middle Firewall doesn’t help then you must check that your DNS Server have properly configured for Live DNS Server’s. Please double check Live DNS IP Address in DNS Forwarders and hope these tips will help you, please show yourself in comments to improve the post. – Very small domain – two AD servers (both Windows Server 2012), two computers (running Windows 8) and three or four devices (printer, phone, WiFi access point, etc.). – The network (DHCP, DNS, servers and gateway static addresses etc.) is both IPv4 and IPv6. – There are DNS running on both DC servers. – The servers have static IPv4 and 6 addresses. – The servers have both DNS addresses (both IPv4 and 6) in their IP configuration. – Single forward lookup zone – mydomain.com (and of course _msdcs…). 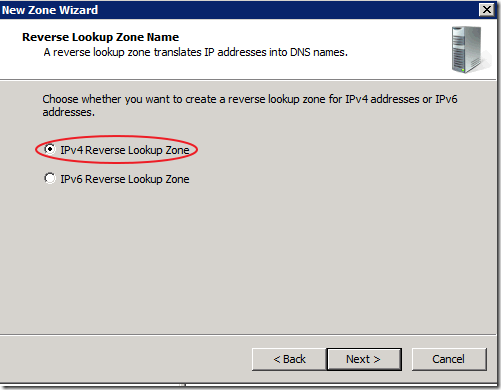 – Two reverse lookup zones one for IPv4 and one for IPv6. – DHCP has the two DNS servers in the options. Call me old-fashioned but I’ve been using “nslookup yahoo.com” to diagnose my network problems for years and now when it doesn’t answer unless i specify the dns server, makes me nervous. Am I right and if I am can you suggest possible problems in my configrations. It’s only showing “unknown” for the IPv6 address. Go into your IPv6 properties, and set the IP and DNS address settings to be obtained automatically. 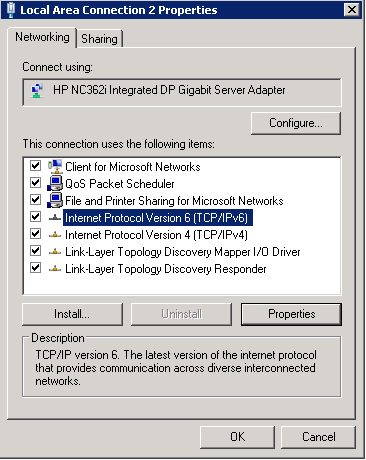 Then in Manage network adapters windows, change the view options to show Menu, then click on Advanced, Advanced, and make sure IPv4 is on top instead of IPv6. Everything was exactly the way you suggested… Then I played with the order: v6 before v4 just to try and see – got worse. Reversed back to v4 before v6 – and almost all is looking good with the exception of Server: UnKnown (like I said in the original post I do have rev. lookup zone). But this is something I can live with (unless you or somebody else has other suggestion). I am marking your reply as the solution. I’m sure you’ve figured this out by now. Although the recommendation from ACE is correct there is possibly another issue. 3. Selection connection, right-click and choose properties of the network connection. 4. Double-click the IPv6 tcpip settings.